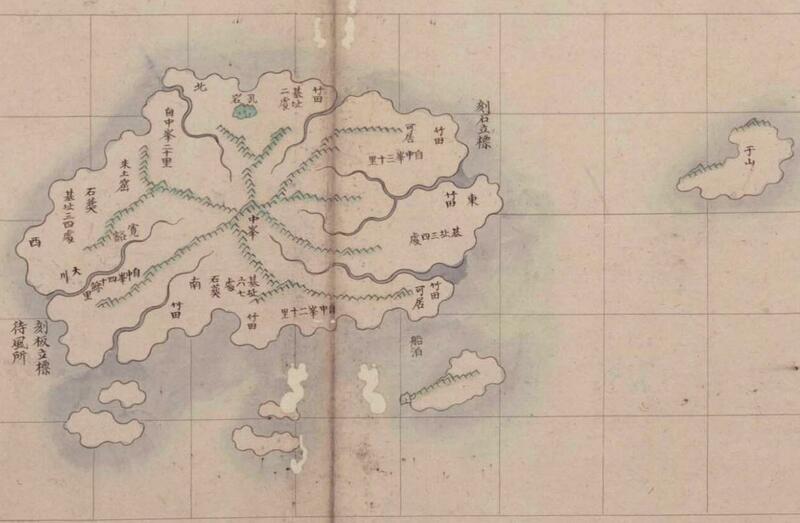 Can someone tell me what is written under the small island next to Takeshima (竹島 - Ulleungdo) on this 1853 map? 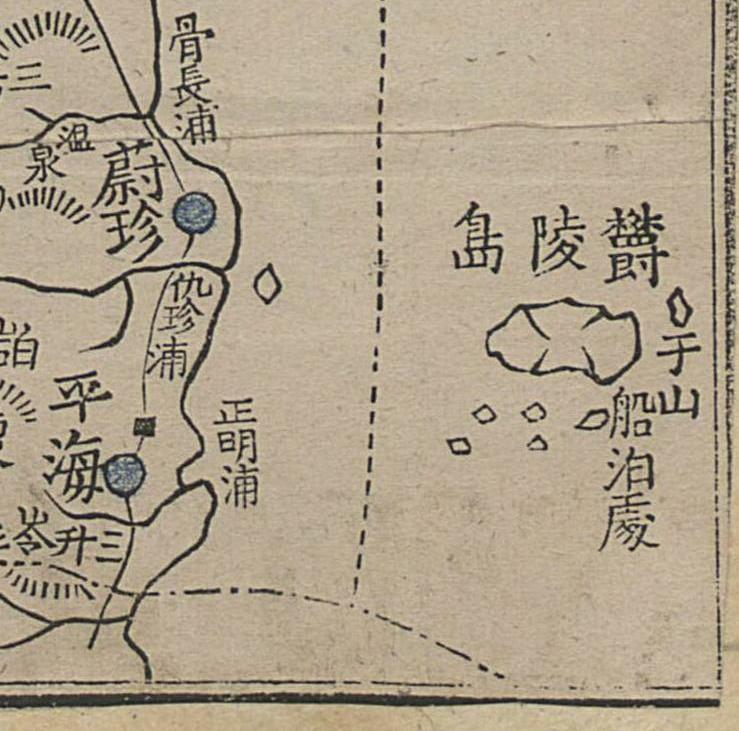 This 1816 map shows Ulleungdo labeled as both "Ulleungdo" (蔚陵島) and "Cheonsando" (千山島), which was a common misspelling of Usando (于山島). There is also more writing on the island but I cannot read it. You can view the full map HERE. 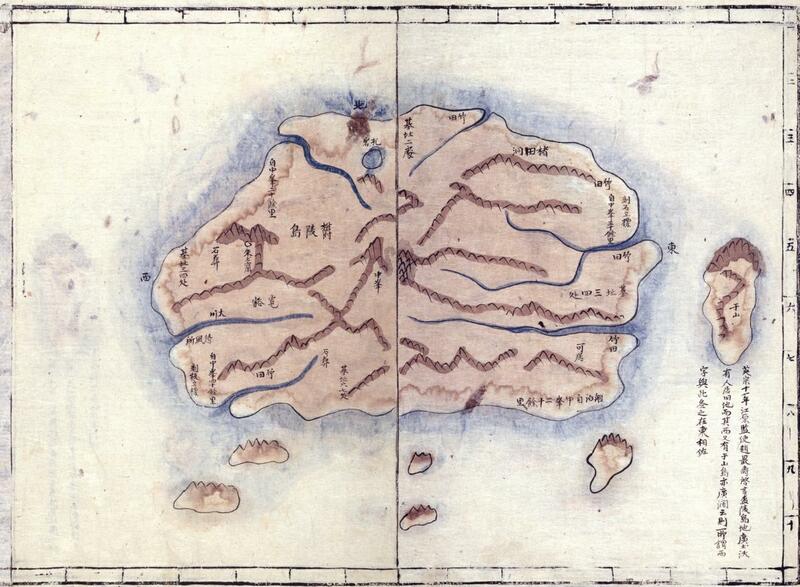 If someone could tell me what else is written on the island and the English spelling of the Japanese names, I would appreciate it. Can anyone tell me tell me anything about this map? 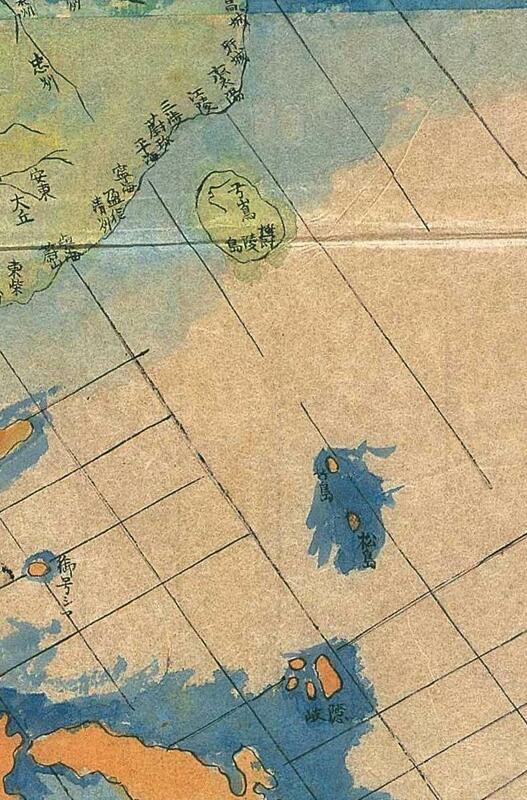 For example, how are the two islands between Japan and Korea labeled? A site HERE, gives the following information: 萩藩当職山内広通と浜崎代官清水親全の命により描いた彩色図. If this has been discussed before, please link me to the post. 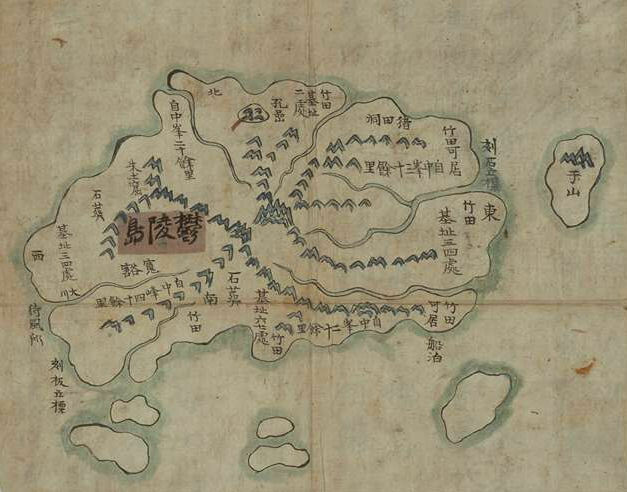 The following 1796 map shows Ulleungdo as Korean territory, labeled as both "Ulleungdo" (蔚陵島) and "Usando" (亐山島). 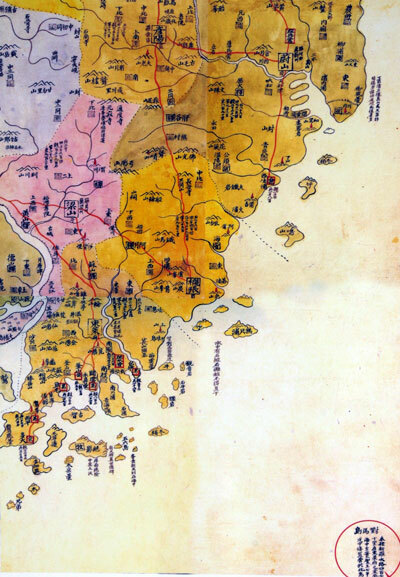 It also shows Takeshima (竹島) and Matsushima (松島) as Japanese territory. Takeshima was the name the Japanese used for Ulleungdo, and Matsushima was the name they used for Liancourt Rocks (Dokdo). In Korean, the Chinese character 亐 has two pronunciations: 울/ul/ and 우/u/. Can anyone give me more information on the map. 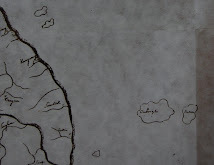 I found the link to the map HERE, and you can find the map, itself, HERE. I think we have already talked about this map before, but I cannot find the post. HERE is information on the map, but it is in Japanese. 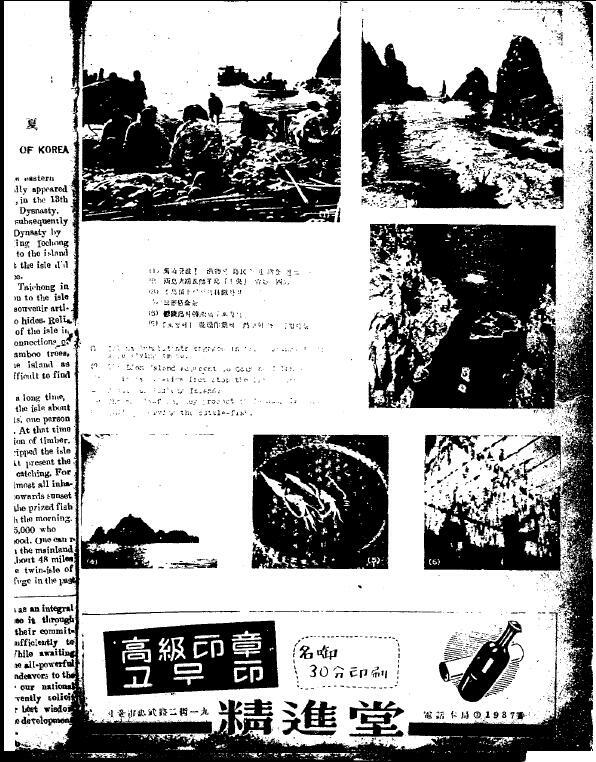 "Rename Dokdo 'Syngman Rhee Islets'"
Fearing that Japan would reassert its claim to Dokdo as soon as the treaty came into force, South Korean President Lee Seung-man (more commonly known in the West as Syngman Rhee) took time from working on the Korean War to declare a ``Peace Line" in the waters around the Korean peninsula in January of 1952. Of course, he made sure to place Dokdo within Korean territory. He then went to work establishing Korea's effective control of Dokdo. In July of 1953, Korean soldiers fired on a small ship from the Japanese Maritime Safety Agency, which had come to enforce Japan's claim to the water around the islets. 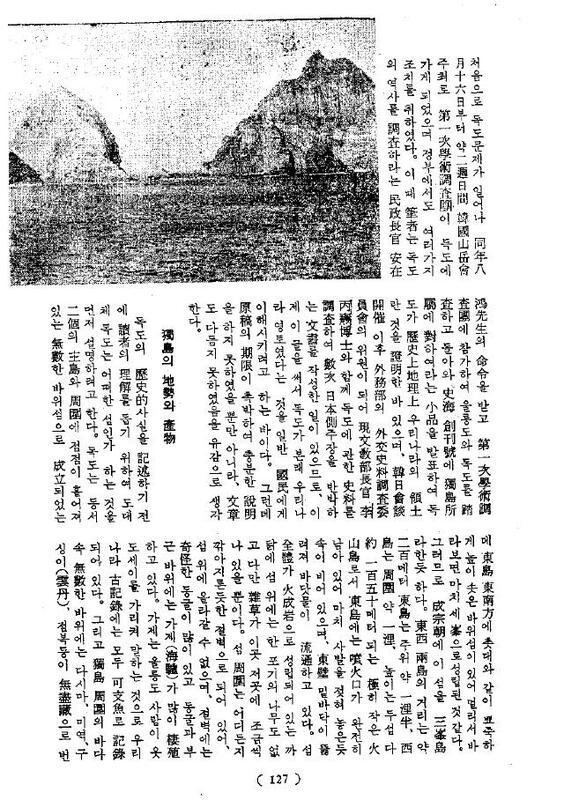 By June of 1954, there was a permanent Korean military presence on Dokdo. Since then, Korea has built housing, surveillance facilities, a lighthouse, and a dock there. That settles it; Dokdo is Korean territory. 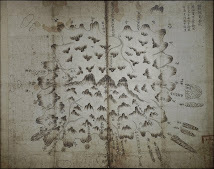 Dokdo is not Korean territory because of what the Silla Dynasty did 1500 years ago or because some fisherman took a trip to Japan in the 1690s. It is Korean territory because Lee Seung-man took military control of it and established that Korea was prepared to sacrifice blood and treasure to keep it. Mr. Jackson wrote that Korea's 1900 Imperial Degree No. 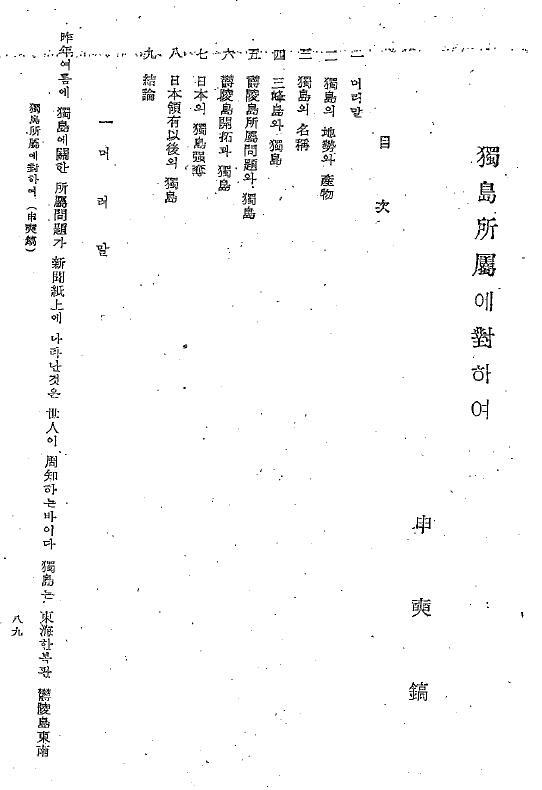 41 set up the Korean administration of Dokdo and that Dokdo was a source of dispute between Korea and Japan before Japan's 1910 annexation of Korea, but he is wrong on both points. 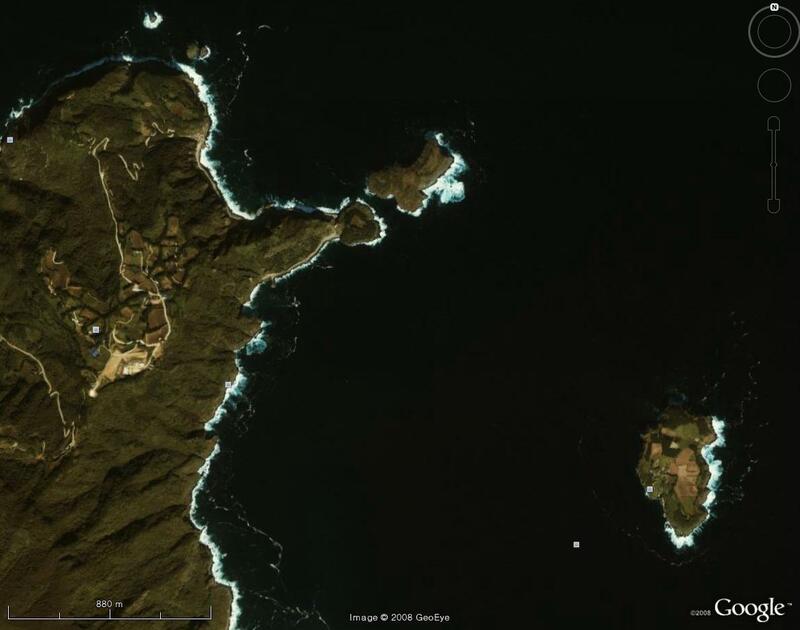 Dokdo was not mentioned in the 1900 decree that established "Ulleungdo, Jukdo, and Ulleungdo's rock islets (石島 - Seokdo)" as making up Uldo County, and Korea's Ministry of Interior even confirmed HERE, in 1906, that Dokdo was not part of Uldo County. 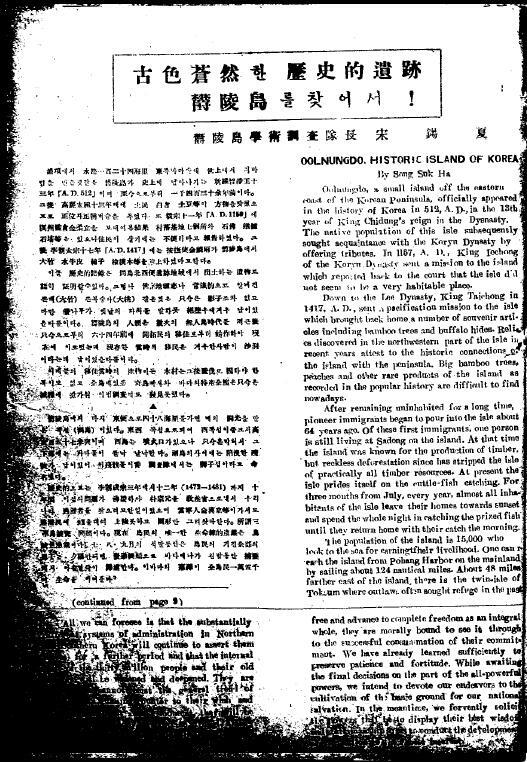 I have some sympathy for Mr. Jackson because he writes for a Korean newspaper, so he probably had little choice but to conclude that Dokdo was Korean territory, but to base that conclusion simply on the fact that armed Koreans have occupied the islets since the 1950s would mean that other occupied lands in the world are the territories of their occupiers simply because they occupy them and are willing to die for them. It that really how international law works? 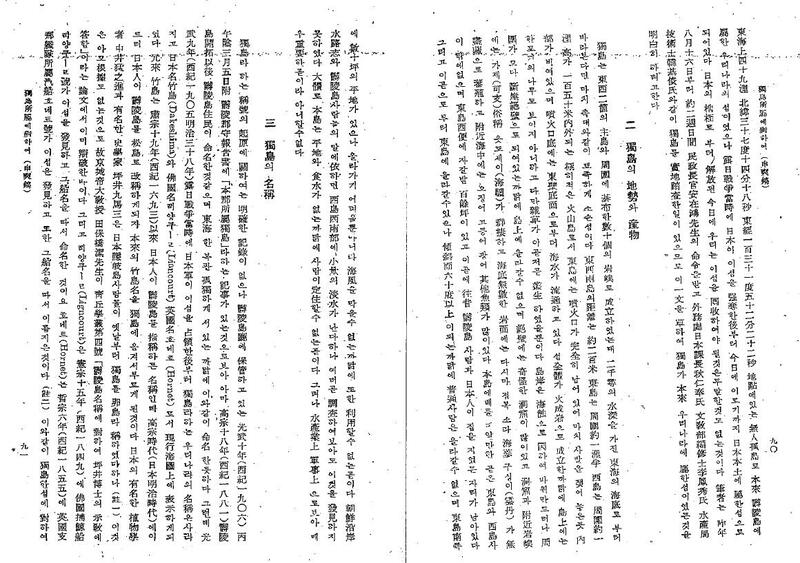 Korea is, again, on Dokdo Alert after a Japanese educational guideline asked teachers to teach about the legitimacy of Japan's territorial claims, which Korea interpreted as Japan's claiming Dokdo (Takeshima) as Japanese territory. After reading HERE what the Korean government is planning to do in retaliation for Japan's even hinting that Dokdo is Japanese territory, I decided to see if Dokdo was as important to the rest of the world by checking for references to Dokdo in famous movies. I was amazed at what I found. Kaffee: "I want the truth about Dokdo"
Scarecrow: "I don' t know... But some people without brains do an awful lot of talking about Dokdo being Korean territory, don't they?" "Hokkaido Teachers Support Korea Over Dokdo"
"If you read historical factors cool-headedly, the Korean claim is based on stark facts," the union said in its newsletter on Nov. 28, 2008. "Some organizations including Shimane Prefecture are laying claim to Takeshima [the Japanese name for Dokdo]. That is a wrongful act aimed at justifying Japanese aggression and colonial rule." Japan's 1905 incorporation of Takeshima had nothing to do with Japanese aggression or colonial rule, as suggested in the last sentence of the teacher union's newsletter quote, but, interestingly, the union's claim is the same claim made by Korean nationalists. I wonder who make up the leadership of that teacher's union. If Hokkaido's teacher's union "cool-headly" studied the "stark" historical "facts," it would realize that Korea's historial claims to Takeshima (Dokdo) are totally bogus. 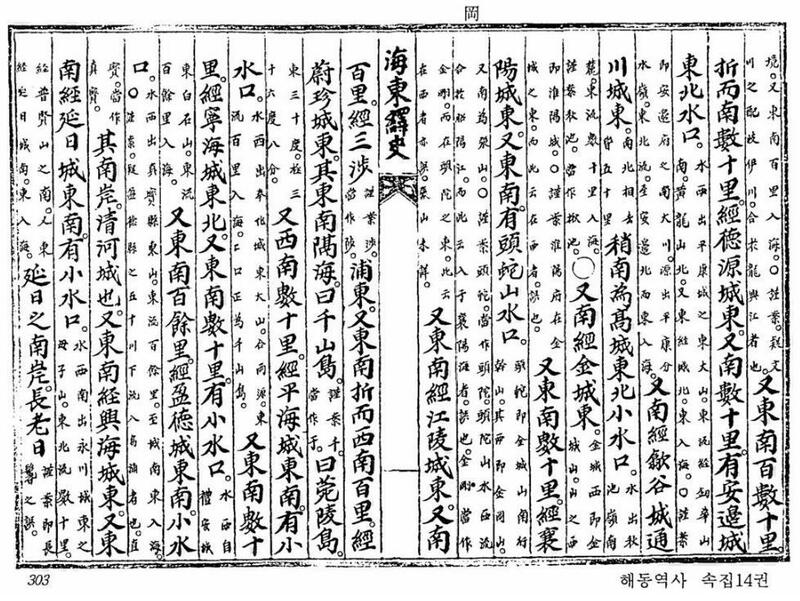 The above page is from the 1823 Korean text Haedong Yeoksa sok (海東繹史續), which translates as "History of Korea - Supplement." 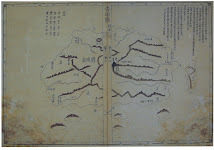 It is also called Haedong Yeoksa Jirigo (海東繹史地理考) since it was the geography supplement to the Haedong Yeoksa (海東繹史). The text is stored in the National Library of Korea. 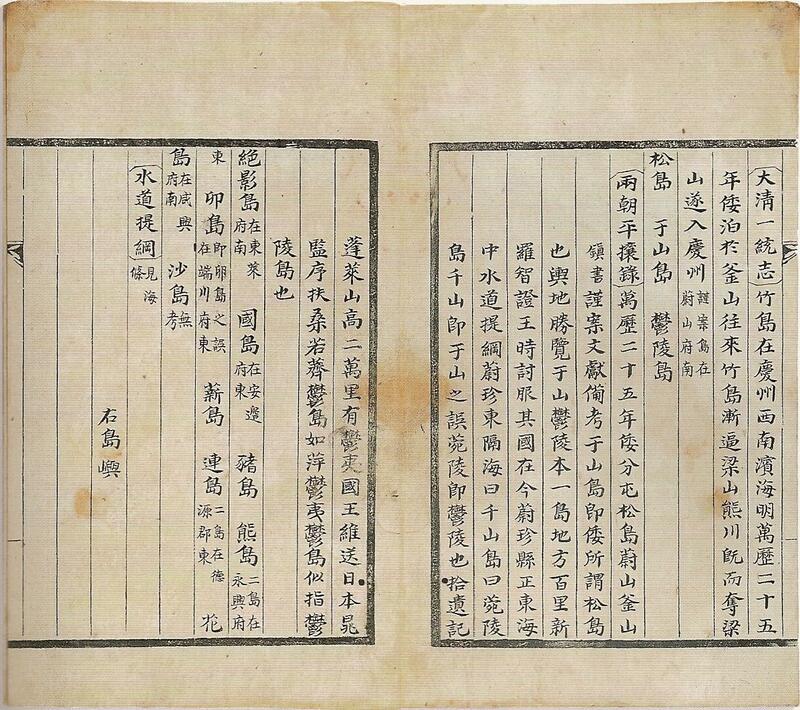 Korean historican Han Chi-yun (韓致奫) had spent about ten years writting seventy volumes of the Haedong Yeoksa (海東繹史), but he died in 1814 before he completed the geography portion (地理考) of the text. 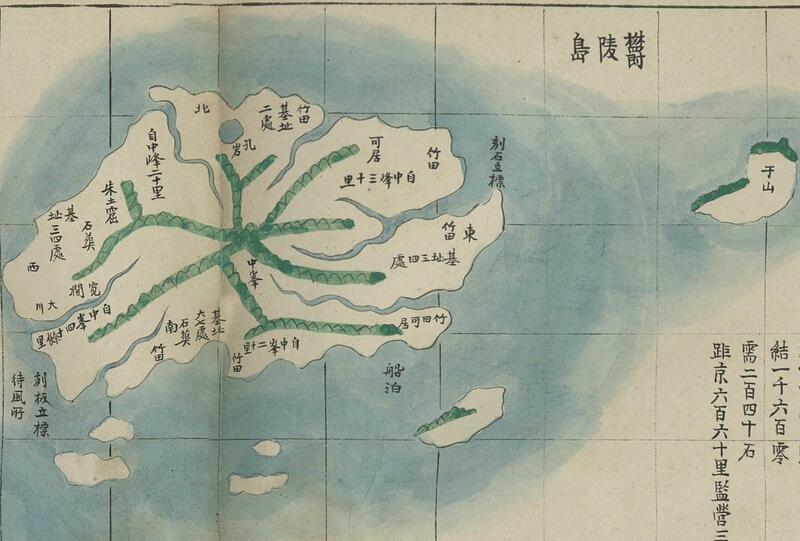 Han Chi-yun's nephew, Han Jin-seo, took over his uncle's work and completed the 15-volume geography section in 1823. 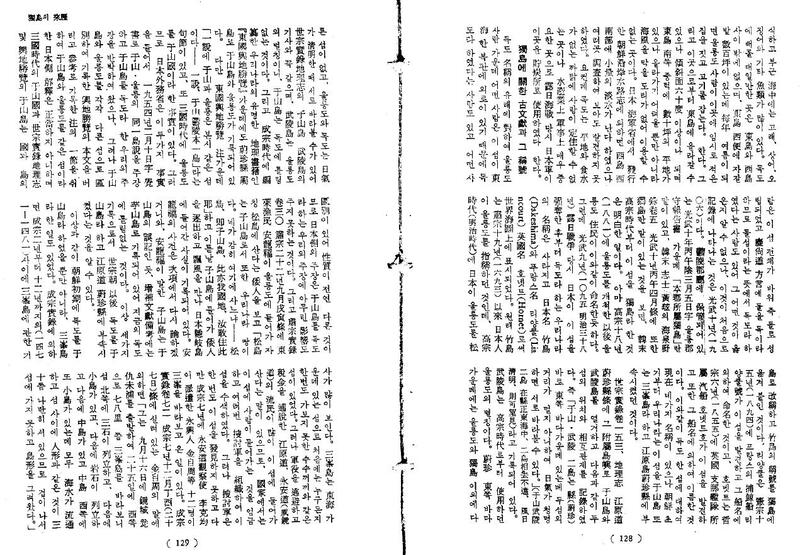 [兩朝平攘錄] 萬歷二十五年倭分屯松島蔚山釜山鎭書 謹案文獻備考于山島卽倭所謂松島也 輿地勝覽 于山鬱陵本一島地方百里新羅智證王時討服其國在今蔚珍縣正東海中水道提綱 蔚珍東隔海曰千山島曰 菀陵島千山卽于山之誤菀陵卽鬱陵也. 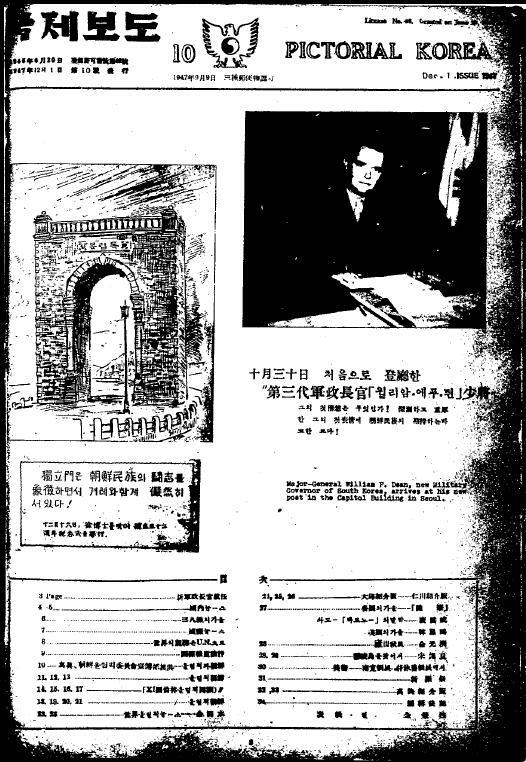 拾遺記 蓬萊山 高二萬里有鬱夷國王維送日本晁監序扶桑 若薺鬱島如萍鬱夷鬱島似指鬱陵島也. 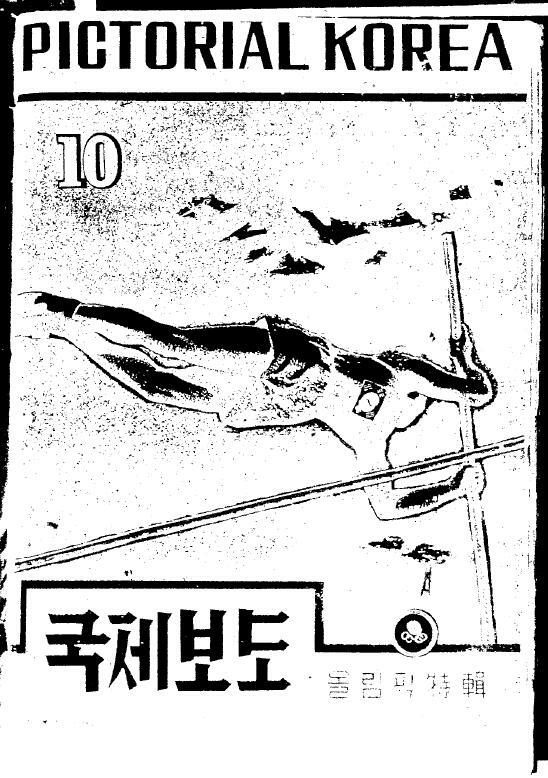 In the Yangjo Pyeongyang Rok (兩朝平攘錄), in 1597, the Japanese set up bases at Songdo (松島), Ulsan (蔚山), and Busan (釜山). I, Jinseo (鎭書), think that in the Munheon Bigo (文獻備考), Usando (于山島) is what the Japanese call Songdo (松島). 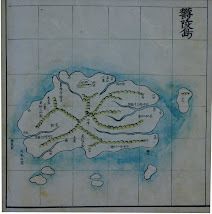 In the Yeoji Seungram (輿地勝覽), Usan/Ulleungdo were originally one island with an area of 100 ri. During the time of King Jijeung of Silla (新羅智證王), that country was conquered and subjugated and was due east of what is now Uljin-hyeon (蔚珍縣). In the Sudo Jegang (水道提綱), east of Uljin is "千山島" (Cheonsando) and "菀陵島" (Wanleungdo). 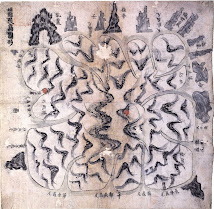 The 千山 (Cheonsan) was just a mistake for 于山 (Usan), and 菀陵 was just 鬱陵. 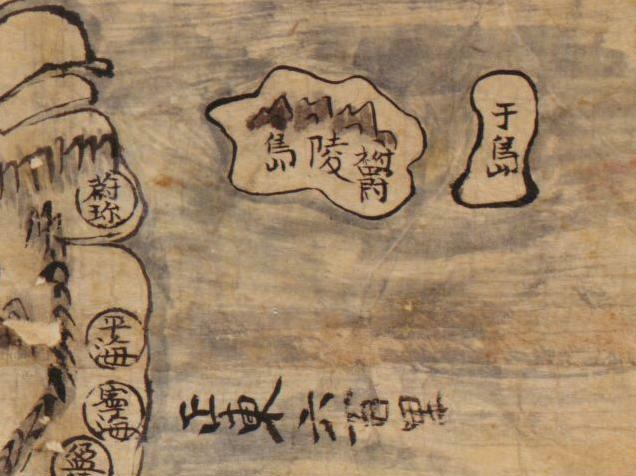 In the Seupyugi (拾遺記), Mount Bongrae (蓬萊山) is 20,000 ri high. There is Uliguk (鬱夷國). In Wang Yu's "Sending a forward to Japan's Nakamaro" (送日本晁監序), Japan (扶桑) is like shepherd's purse (薺). Uldo (鬱島) is like duckweed (萍). 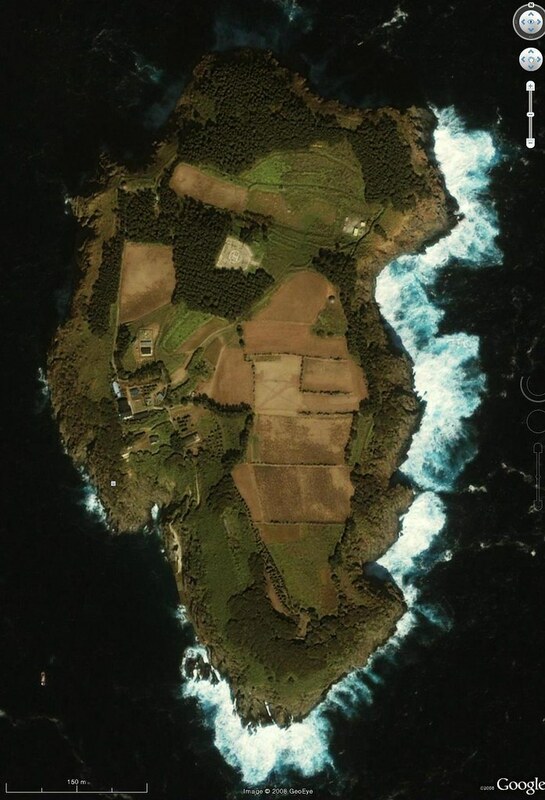 Uli (鬱夷) and Uldo (鬱島) seem to refer to Ulleungdo (鬱陵島). 蔚珍城東其東南隔海曰千山島謹案 千當作于 曰菀陵島. 東三十度極三十六度八分. 又西南數十里經平海城東南有小水口 水西出奉化城東大山. 合兩源流百里入海匕口正爲千山島. On the east side of Uljin Fort (蔚珍城), in the sea to the southeast, are "Cheonsando" (千山島), of which I think 千 (천) should be corrected to 于 (우), and "Wanreungdo" (菀陵島), which is east 30 degrees, north 36 degrees 8 minutes. Also, some tens of ri to the southeast is the east side of Pyeonghae Fort (平海城). To the southeast of there is the mouth of a small river. The water flows from the west, from a big mountain east of the Bonghwa Fort (奉化城). Two sources merge and flow 100 ri to the sea. Just at the mouth of the river is Cheonsando (口正爲千山島). 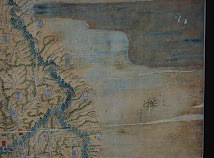 The Cheonsando (千山島) being referred to in the above passage is the one that appears just offshore of Pyeonghae (平海) on Chinese and many old Western maps of Korea. 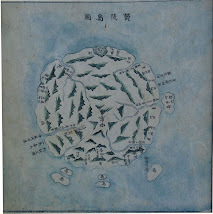 It seems that Wanreungdo (莞陵島), for which coordinates are given, may be considered a separate island. You can read the original below or go HERE, where you can find it on the third page. "Japan Takes Softer Stance Over Dokdo"? 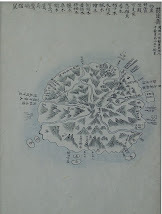 "The description of Dokdo was dropped from the latest edition of the high school teachers' guidebook. Instead, it adopted an ambiguous expression calling for a deeper understanding of Japan's territorial problems,'' the source said. How can Japanese students get "a deeper understanding of Japan's territorial problems" if the Japanese government is afraid to mention the name of the territory in a teaching guidebook? The message to Japanese teachers seems to be "teach that we have territorial problems, but do not to mention Takeshima." If the information in the article is true, then the Japanese government seems to have been cowed by Korea. Who is writing Japan's educational guidebooks, Japan or Korea?
" 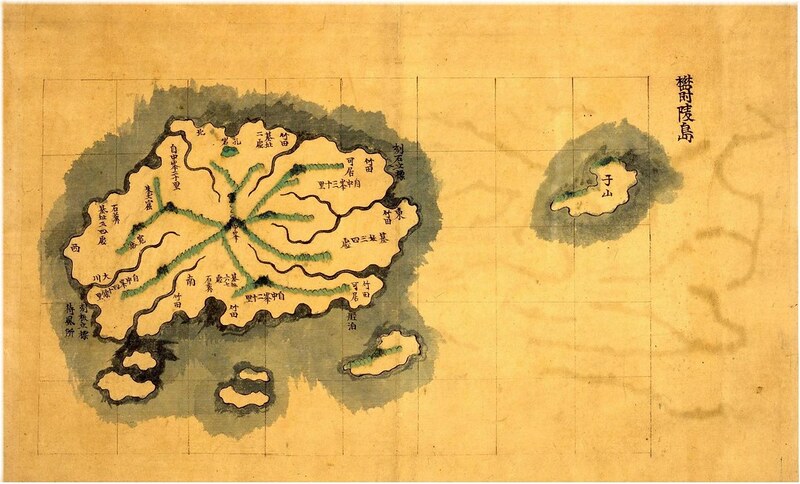 Refutation against the report of South Korean Yonhap News Agency which misread the Mori Kohan（森幸安）'s "The Map of Tsushima(對馬輿地図)"
On 28th October, the Yonhap News Agency of South Korea reported, "Two old maps which shows "Tsushima as Korean territory" was open to the public for the first time. 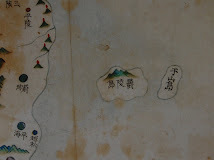 It says that one of the maps is "The Map of Tsushima(對馬輿地図)" which Mori Kohan(森幸安) depicted on 10th April, 1756, and the other is "Cheonggudo" (靑邱圖) which Kim Jeong-ho(金正浩) made in 1834. 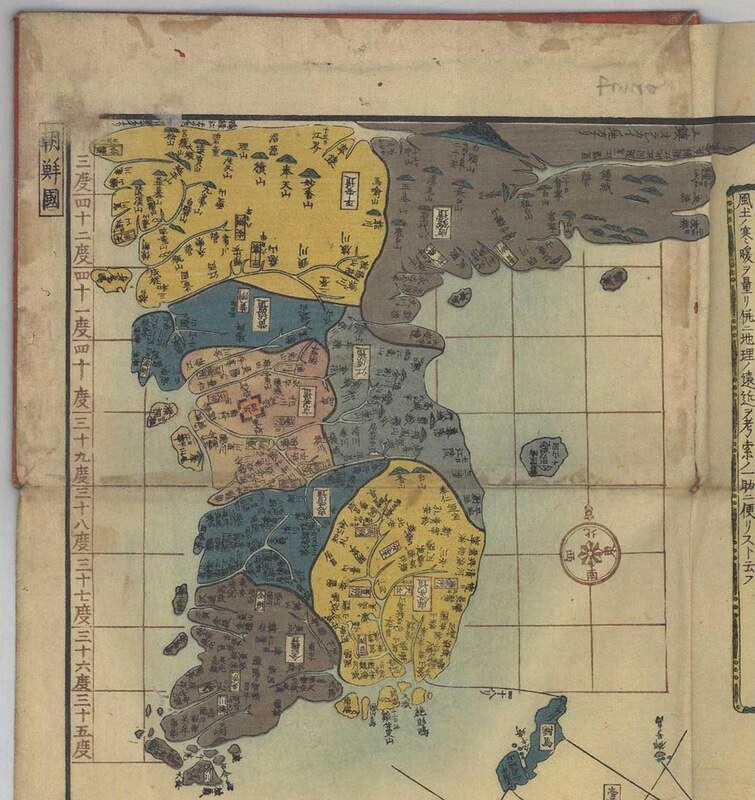 However, there is grave mistake in the interpretation of Chinese writing by professor Kim Mun-gil of Pusan University of Foreign Studies, who is supposed to have found the old maps in question. 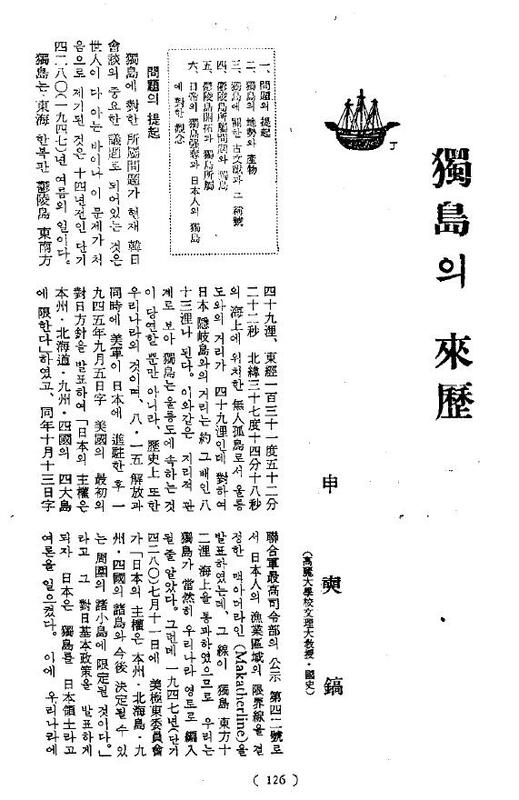 Although the resolution of the affixed image on the electronic version of Yonhap news agency is too low to read all of them, at least it is impossible to read neither "470 lis" nor "Tsushima subordinate to the territory of Silla Kingdom, and legally, it belong to Tongnaebu" on the maps, respectively. "所図、輿地図、有郡郷之界分。當對馬図者、上縣・下縣二郡耳。按彼国之□□□、□釜？。亦准朝鮮国地之例、則府郷郡□之四品歟"（The map drawn has borders between countries and there is only two countries, upper and lower countries (上縣・下縣), in Tsushima. I think that that country(Japan)'s □□□ is □釜. It may be four categories, namely prefecture(府), village(郷), county(郡) and □, if it is compared to the land of Joseon. 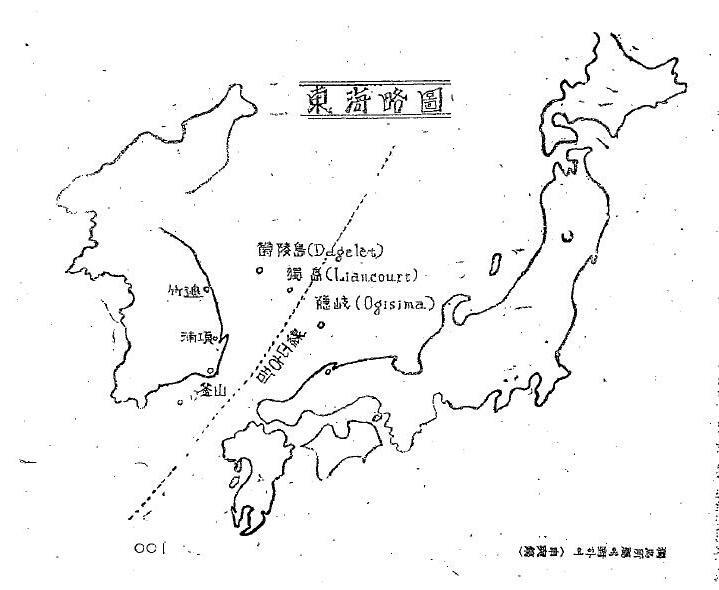 As is clear in the proper interpretation above, none of the sentences like "Tsushima is Korean territory" nor "the distance from Busan to Tsushima is 470 lis" is written in Mori's "The Map of Tsushima(對馬輿地図)". 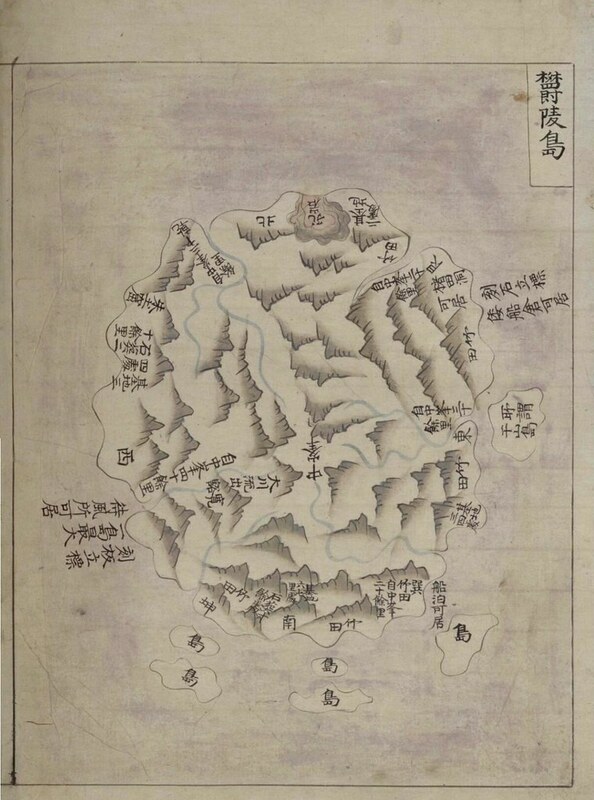 Besides, ahead of making "The Map of Tsushima(對馬輿地図)", Mori made "The Atlas of Japan (日本分野図)"(1754), and it clearly says that distance from Joseon to Tsushima is described as "From this Busan Inlet of Joseon to Waninoura of Tsushima, the distance is 25 lis ( 此ノ朝鮮ノ釜山浦ヨリ對馬ノ鰐ノ浦へ二十五里)". Supposedly, Prof. Kim must have interpreted arbitrary by switching this "25 lis" to "470 lis" since there is the description of "470 lis by the sea(水路四百七十里)" in the maps such as "Cheonggudo" by 金正浩. Yonhap News Agency reported that the maps which shows Tsushima as Korean territory, but the report is totally groundless. Because Mori depicted Tsushima as Japanese territory in both "The Atlas of Japan (日本分野図)"(1754) and "日本分土図 ””Divisional Map of Japan"（1755年）. 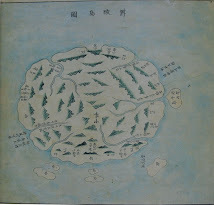 "The Map of Tsushima" consists of those series of maps and there is no reason for him to exclude Tsushima from Japan to make it Korean territory. 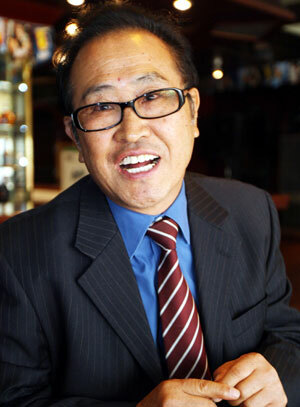 On what basis Professor Kim makes Tsushima Korean territory? 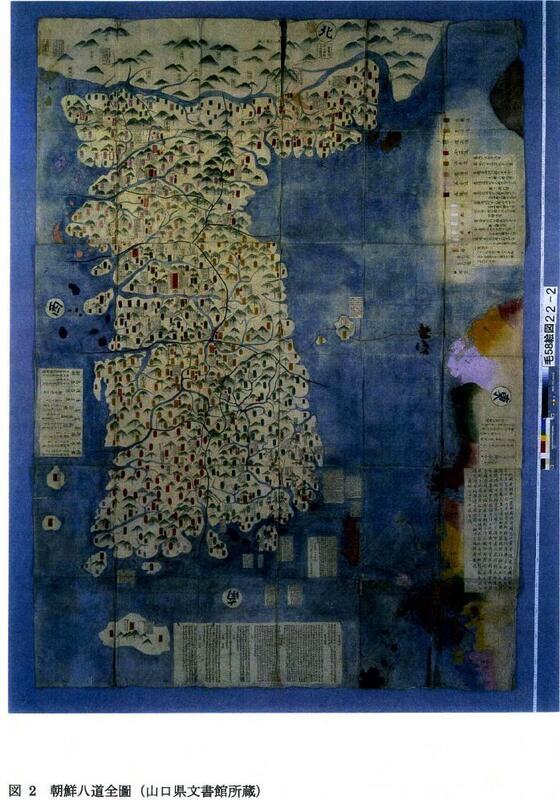 Nobody could find any description which make Tsushima as Korean territory in "The Map of Tsushima". This is same for his interpretation of "Cheonggudo" by Kim Jeong-ho as well. Prof. Kim read "至實聖王七年戊申倭置営於此島" as "(Tushima) belong to Tongnaebu until the 7th year of King Silseong", but there is no such description as "Tsushima belongs to Tongnaebu" at all in the original text. 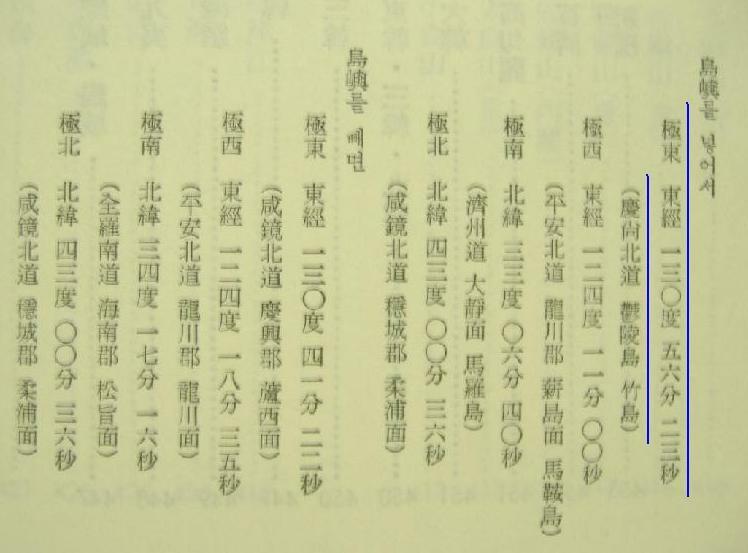 This sentence "至實聖王七年戊申倭置営於此島" is a second hand citation from "Samguk Sagi(三国史記)" and it only says that ”Japan made military forces stationed in Tsushima”. There is absolutely no description which says "Tushima belongs to Tongnaebu". This description in "Samguk Sagi" attracted attention in 1419, the year Joseon invaded Tsushima, 卞季良 wrote "對馬為島、隷於慶尚道之鶏林。本是我国之境。載在文籍" (Tsushima islands subordinate to Gyerim(鶏林= Silla) of Gyeongsang Province(慶尚道). Originally this is our territory. 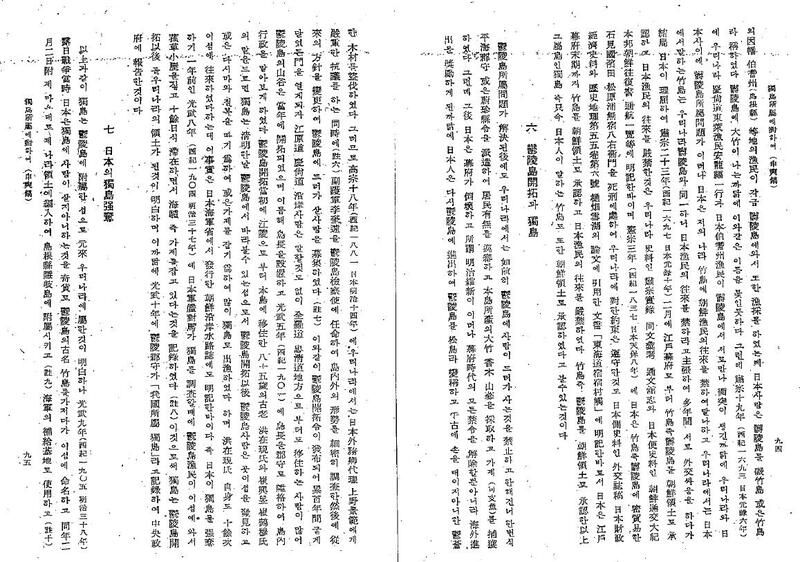 It is recorded in the document.) 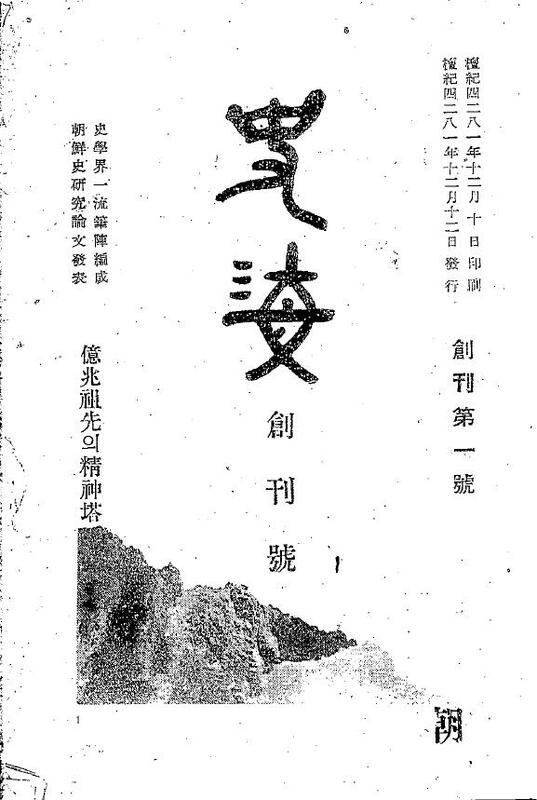 in his book "諭対馬州書". He did wrote "it is recorded in the document." However, Lee Jong-mu, who led Joseon army, went for eastern conquest only to be defeated and Joseon feared Ming, their suzerain, would get to know that they moved military forces without Ming's permission. Moreover, Joseon army had to withdraw by the counteroffensive of Japan. It was far from "the Tsushima Subjugation (対馬征伐)" ( Gihae Eastern Expedition（己亥東征）) as they call. Although Masan City of South Korea, opposing against "Takeshima Day" which Shimane Prefecture enacted, declared Ordinance "Daema Island Day" on 19th June, the day Lee with his army sailed from Masan in 1419, it's only to conceal the fact of retreat. On the contrary, 仇里安, a Japanese messenger of Soh Sadamori(宗貞盛), the Lord of Tsushima, brought forth an counterargument "Tsushima island is frontier territory of Japan. If (Joseon) give battle to Tsushima, it means (you are) attacking Japan itself. ( 對馬島, 日本邊境。 攻對馬島, 是攻本國也) ", when he was cross examined by Joseon side as " ((Tsushima) subordinate to Joseon's 慶尚. 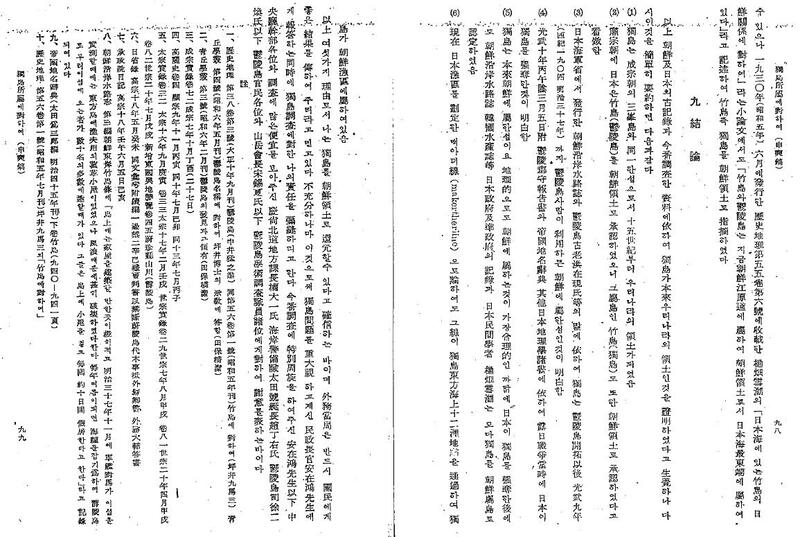 It is clear in Historical document(本島之隷於慶尚, 古籍昭然。)). "This story was recorded, following the Pyun Kye-ryang(卞季良)'s "諭対馬州書", that " Originaly, it had been subjected to Silla Kingdom. It is unknown when Japanese lives (舊隷我鶏林。未知何時、為倭人所據)" in "The Dongguk Yeoji Seungram（東国輿地勝覧）"（1481), and it made Korean misconstrue that "Tsushima is Silla's territory", as a fait accompli, without any documented basis. 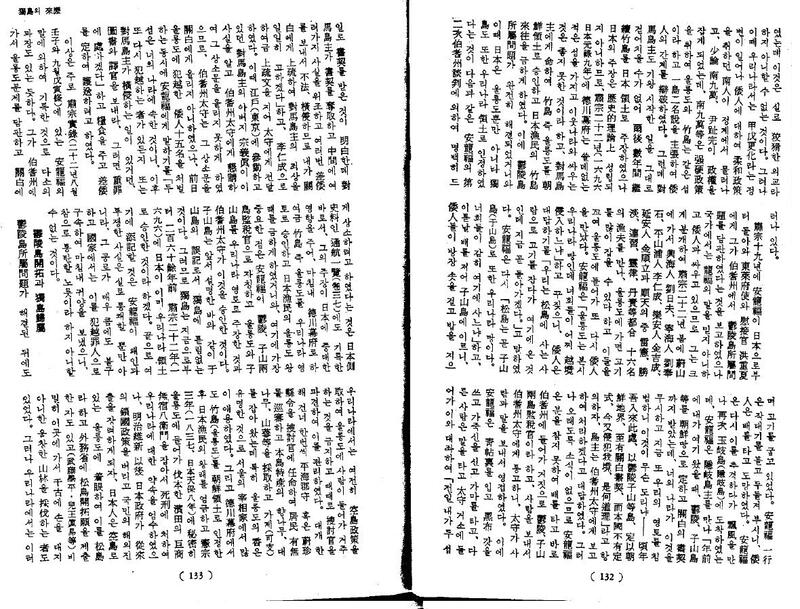 However, the article in March of the first year of King Silseon Isageum(實聖尼師今)(402) of the same "the Silla Version of the Samguk-sagi (三国史記)" record that 未斯欣, prince of King Naemul Maripgan(奈勿), was made a hostage in 倭(Japan). 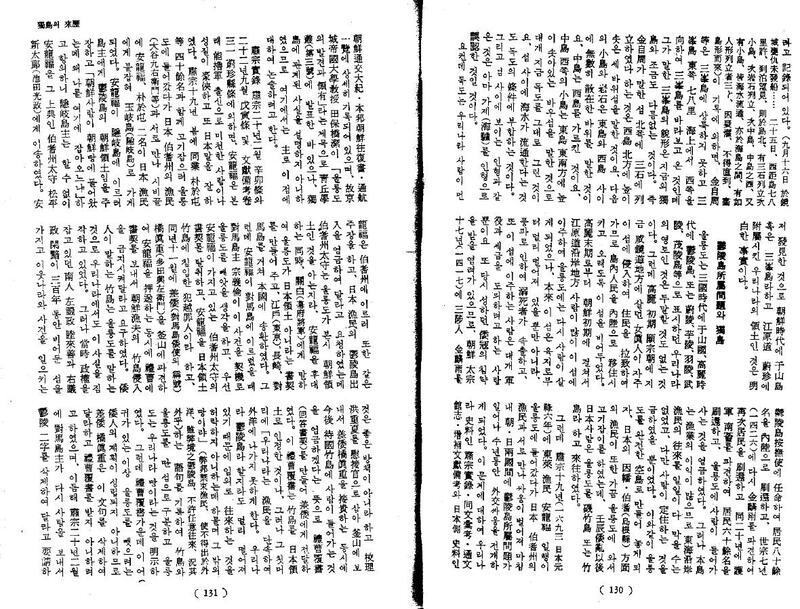 Moreover, the article in April of Summer of the same year recorded that Japanese soldiers came to attack the castle(明活城). 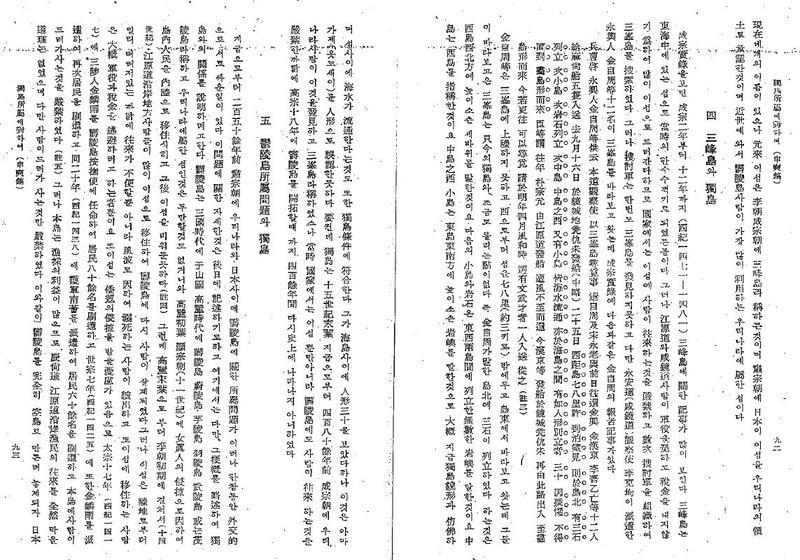 In addition to that, the article in March of Spring of the 6th year, it says that Japanese invaded eastern vicinity. In June Summer, they invaded the southern vicinity again. Silla Kingdom had been exposed to the offensive of Japan before Japan's setting up the barracks for soldiers in Tsushima island in August of the 7th year of the King Silseon Isageum. Yet, Professor Kim Mun-gil misinterpreted "實聖王七年戊申倭置営於此島" as "it belong to Tongnaebu until the 7th year of King Silseong". But that kind of misreading is merely a composition written by Professor himself who ignored their own history. Afterall, Yonhap News Agency in South Korea delivered his groundless, arbitrary interpretation without any criticism. 浦 項에서 水路一百二十四海里 東쪽바다속에 世上에서 저바림을 받은 것 같은 鬱陵島가 史上에 낱아나기는 新羅 智證王十三年 [A.D. 512]이며, 至今으로부터 一千四百三十餘年 前이다. 그後 高麗 太祖十三年때에 土民 白吉 土豆 等이 方物을 밧쳤으므로 正位와 正朝벼슬을 주었다. 또 毅宗十一年 [A.D.1159]에 溟州監倉 金柔立을 보내여 본 結果 村落基(訳注 : 墓の誤りか)地 七個所와 石佛 鐵鍾 石塔 等은 있으나 住民이 살기에는 不便하다고 報告하였다. 그後 李朝 太宗十七年 [A.D.1417]에는 按撫使 金麟雨가 鬱陵島에서 大竹水牛皮綿子 檢樸木 等을 獻上하였다고 한다. 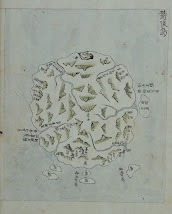 이들 歷史的記錄은 同島 北西便 遺跡地域에서 出土하는 遺物로 能히 說明할수있다. 그러나 世宗地理誌나 常識的으로 알려진 큰대(大竹) 큰복숭아(大桃) 같은 것은 只今은 影子조차 없고 다만 香나무가 옛날의 자최를 말하듯 絶壁우에 겨우 남어있을 따름이다. 鬱陵島의 人煙은 數次의 無人島時代를 격근 후 只今으로부터 六十四年 前에 開拓民의 移住로부터 始作하야 現在에 이르렀는데 現存한 當時의 移民은 겨우 한 사람이 沙洞이라는 데 남어있을 따름이다. 이네들의 移住當時의 産物이든 木材는 그後 濫伐로 因하야 한 폭이도 없고 全島에있는 寄鳥 곽새와 바다의 特産 全鰒은 只今은 滅種에 갔가워 이番 調査에도 發見못했다. 鬱陵島에서 다시 東便으로 四十八海里를 가면 떼의 脚光을 받은 독섬(獨島)이 있다. 東西 독섬으로 되여 西쪽섬이 좀 크서 高度百五十七米突이며 西島는 噴火口가있으나 只今은 막혀서 그 下部에는 바다물이 들낙날낙한다. 兩島의 사이에는 陷沒한 殘骸가 남아있어 이 殘骸를 이번 調査隊에서는 獅子섬이라고 命名했다. 歷史的으로는 李朝 成宗三年에서 十二年(1472-1481)까지 十年間 이 섬의 問題가 沸騰하야 朴宗元을 敬差官으로해서 우리나라 逃潛者를 찾으려고 한일이 있으며 富寧人金漢京等이가서 逃潛民에 劫을대여※ 上陸못하고 圖形만 그려왓다한다. 所謂三峯島搜覽問題이다. 現在 島民의 唯一한 生命線的 産業은 烏賊魚 漁業이다. 七·八·九月의 석달 동안은 島民의 거진 全部의 男子는 夕陽만되면 發動機船으로 바다에 나가 왼밤동안 捕獲해서 아츰 일즉이 歸浦한다. 이 바다의 惠澤이 全島民 一萬五千의 生命을 이어준다. Oolnungdo, a small island off the eastern coast of the Korean Peninsula , officially appeared in the history of Korea in 512,A.D., in the 13th year of King Chidung’s reign in the Dynasty.The native population of this isle subsequently sought acquaintance with the Koryu Dynasty sent a mission to the island which reported back to the court that the isle did not seem to be a very habitable place. Down to the Lee Dynasty, King Taichong in 1417, A.D., sent a pacification mission to the isle which brought back home a number of souvenir articles including bamboo trees and buffalo hides. Relics discovered in the northwestern part of the isle in recent years attest to the historic connections of the island with the peninsula. Big bamboo trees, peaches and other rare products of the island as recorded in the popular history are difficult to find nowadays. After remaining uninhabited for a longtime, pioneer immigrants began to pour into the isle about 64 years ago. Of these first immigrants, one person is still living at Sadong on the island. At that time the island was known for the production of timber, but reckless deforestation since has stripped the isle of practically all timber resources. At present the isle prides itself on the cuttle-fish catching. For three monthsfrom July, every year, almost all inhabitants of the isle leave their homes towards sunset and spend the whole night in catching the prized fish until they return home with their catch the morning. The population of the island is 15,000 who look to the sea for earning their livelihood.One can reach the island from Pohang Harbor on the mainland by sailing about 124 nautical miles.About 48 miles farther east of the island,there is the twin-isle of Toksum where outlaws often sought refuge in the past. (1) Island inhabitants engaged in the fishing. their sole living trade. (2) The Lion Island adjacent to Oolnung Island. (3) A bird's-eye-view from atop the island peak. (4) A view of Sambong Island. (5) The cuttle-fish, key product of Oolnung Island. (6) Children drying the cuttle-fish. 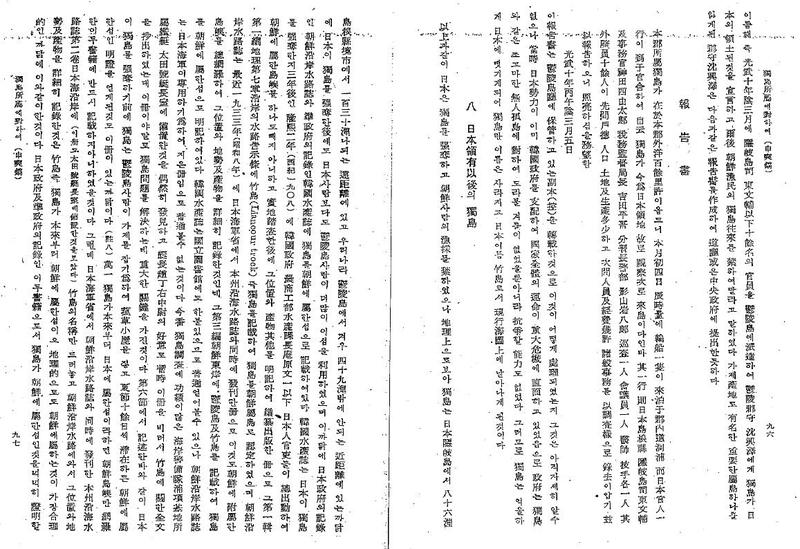 1946 - Feb. 13 - "Conference with GHQ/SCAP concerning separation of the administration"
How should 三數十里 (삼수십리) be translated?